Filling my daughters up with nourishing breakfast has always been part of my daily goals. 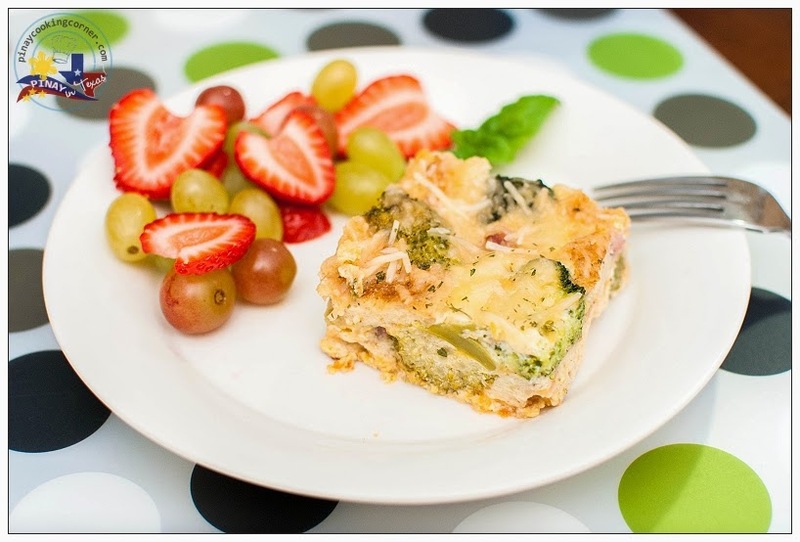 It is a challenge sometimes, but a tasty and healthy casserole like this one that I am sharing with you today, never fails to get my girls to eat the most important meal of the day! 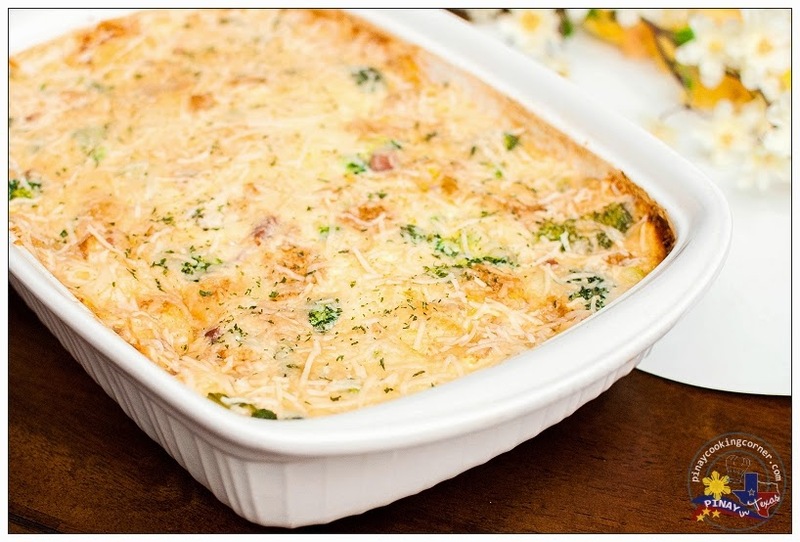 This casserole has been a favorite here at our home for years now. 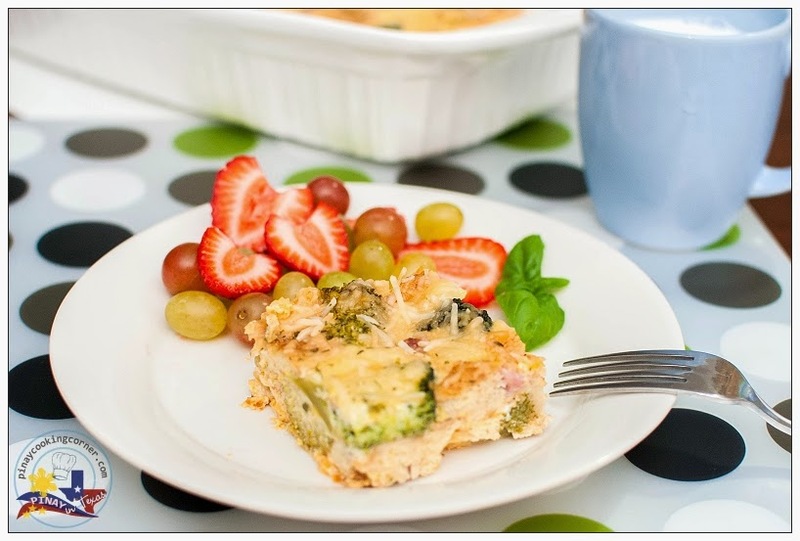 It is a combination of traditional breakfast food including bread, eggs, ham, cheese and milk...with the addition of broccoli. It's very easy to prepare...you just have to toss everything together, put it in the oven and VOILA...you have a delicious and nutritious breakfast! 1. Grease a 9"x13" baking dish. In a small skillet, heat olive oil over medium-high heat. Add the onions and saute until the onions are soft, about 4 minutes. Remove from the heat and set aside to cool. 2. 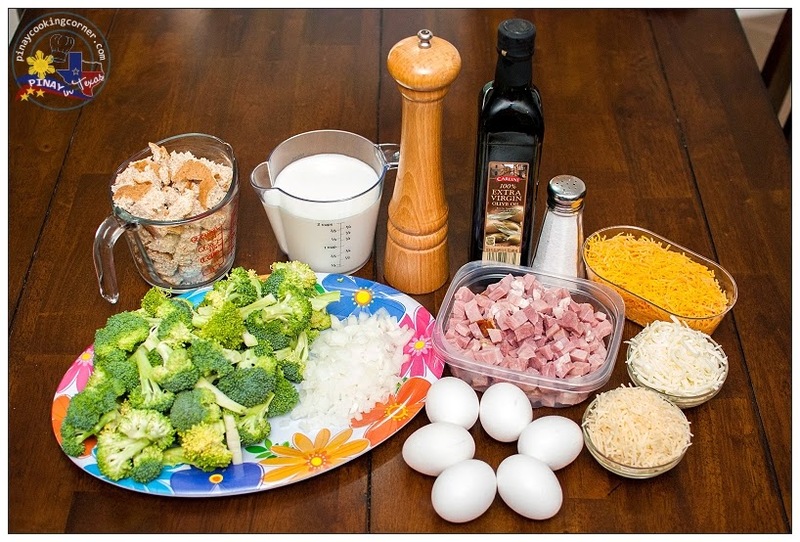 In a large bowl, combine the broccoli, cooled onions, ham, Cheddar cheese, Mozzarella cheese and bread cubes. Toss gently to combine, and then transfer to the prepared baking dish, spreading the mixture in an even layer. 3. Using the same bowl, whisk together the eggs, milk, 1 tsp salt and 1/4 tsp pepper until thoroughly mixed. 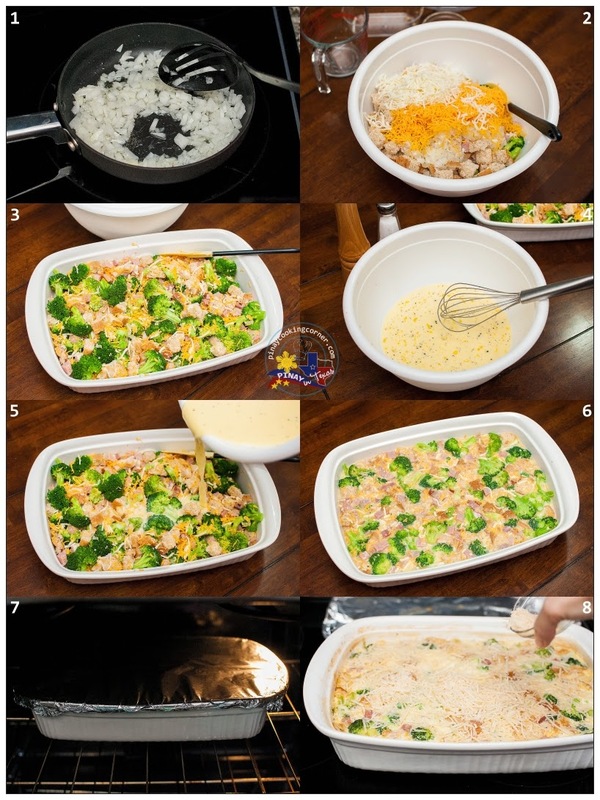 Pour over the broccoli mixture and stir until everything is covered with egg & milk mixture. 4. Preheat the oven to 375°F. Cover the baking dish with aluminum foil. Place in the oven and bake for 45 minutes. Remove the foil and sprinkle the Parmesan cheese evenly over the top. Return the casserole, uncovered, to the oven and continue baking until the top is golden brown and puffed and the casserole is cooked through when tested with a knife, about 15 minutes longer. Remove from heat and rest for 10-15 minutes before serving. Cut into squares to serve.